Alright, I have a small confession to make ... of all the animals, of all the creatures, of all the living things that were born on God’s good earth, nothing scares me more than spiders. As a child, I had countless terrifying encounters with spiders, heard frightening stories of people who were poisoned from spider bites and after one personal incident in which I found a venomous black widow on my own bed, I’ve always had a tense fear toured arachnids. Unlike Sharks, Crocodiles, or any of nature’s most deadly predators, spiders have no problem sneaking into your house, invading the comfort of your bedroom, your showers, your cupboards, heck, maybe even your own boxed food. I think that’s what makes them so terrifying, they can just pop up at any time, at any place, and when you see those eight legs, rows of eyes and little pinchers, it immediately makes your hair stand on end. 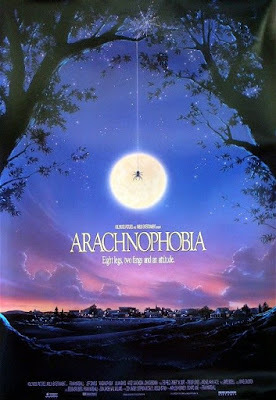 So what movie could possibly be more appropriate to review this October then the 1990 movie “Arachnophobia”. Steven Spielberg, famous for directing “Jaws” is the executive producer, and it’s directed by Frank Marshall, whose resume is so big it would take all day to name everything he’s been involved in, but I should mention that he’d go on direct other popular animal attack movies like “Congo” in 1995. Our creature feature begins in the Amazon Rainforest, where explorers stubble upon the nesting ground of a super spider that’s supposed to have died off thousands of years ago. When one of the explores gets attacked and killed by the little beast, the spider hitches a ride in his coffin, and makes its way to a small town in the country side of California. 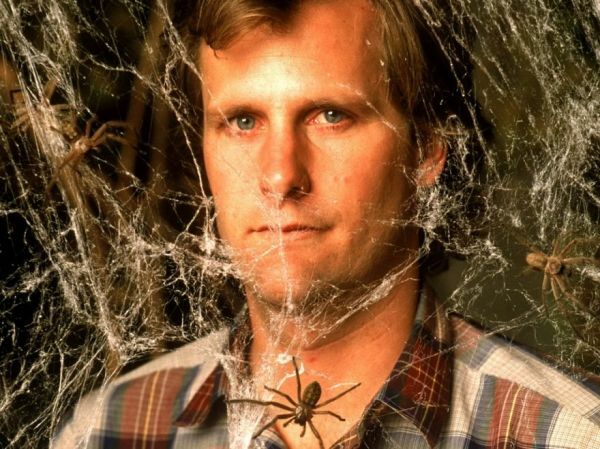 A doctor played by Jeff Daniels just moved in to town with his family, and wouldn’t you know, their house happens to be on top of the spiders nest. Once the super spider mates with a regular house spider, they begin breading an entirely new spices of venoms spiders that spread throughout the town. Their so poisonous, it becomes instant death when they bite someone. Once the body count starts to rise, the burden falls on the good doctor to destroy the nest and prevent the onslaught of deadly spiders from producing. The Characters are all serviceable at best, none of them are terrible, but their certainly not great or that memorable either. Like I said, Jeff Daniels plays the lead hero named Doctor Ross, and he does good job. I like that his character is already an arachnophobe, that way, the audience can almost relate to him when he battles the spiders, and more importantly concurs his fears. It’s a concept that’s been done countless times, but it’s pulled off just fine in this film. 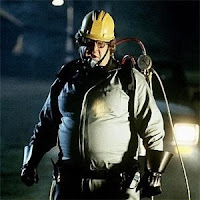 John Goodman plays an exterminator and serves as the comedic relief. While I can’t say he’s laugh out loud funny, I do enjoy how restrained and laid back his performance is. The remaining characters play their parts just fine, but there’s no one else worth talking about. Besides, we’re not here for the humans, so let’s talk about the spiders. As stated above, Spiders scare me more than any other creature on planet earth, however, I’m fully aware that spider’s are valuable resources to our ecosystem, as they keep regular insects from over populating the planet, and obviously I’m aware that spiders aren’t mindless killing machines as portrayed in movies like this. 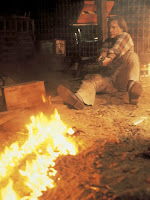 It is just a monster movie after all, and it’s supposed to be over the top in its portrayal of common everyday things. 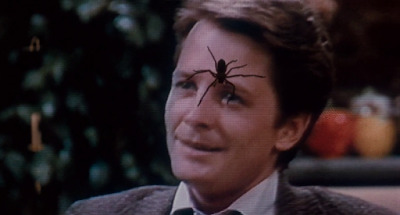 However, the film actually drew in protests from people that believed the film tarnished the public image of spiders. 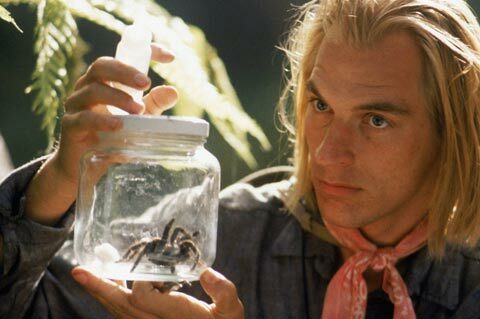 Personally, I think this movie dose a great jobbing preying on our over exaggerated fears of spiders, and there’s several moments that succeed in making you feel uncomfortable. There’s a scene when a spider sneaks into someone’s bed, killing him in his sleep, and there’s a moment when one crawls into the helmet of football player, who gets poisoned just as he gets tackled. There’s even a moment when a spider finds a cozy spot by a toilet seat, you don’t need to do the math to know what that adds up to. 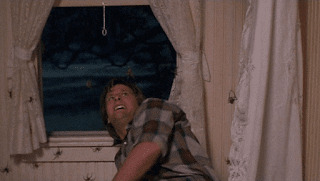 My favorite scene is when a young girl gets attacked by a spider while taking a shower, because it’s the perfect blend of being both funny and spin tingling. You could say it’s almost like the spider equivalent of the shower scene from “Psycho”. Watching this thing climb all over her face and exposed skin is sure to make your skin crawl, but the after math dose lead to some well placed comedy. The spider effects are fantastic, they look like real spiders and the camera work is great as it captures that eerie feeling you get from seeing a spider dangling from its web. While this isn’t a flat out scary movie by any means, it dose succeed in making your skin crawl, and when the movie is over, you find yourself being extra observant around the house. The pacing is also very good, the film manages to hold your attention, every scene builds on the next and there’s a fine amount of exciting encounters with the nasty little pests. One of the most memorable effects is when our hero’s approach the body of a man who everyone else presumes is just sleeping, only to be very disturbed to see a spider crawl out of the man’s nose and then back in through the mouth. The ending is an unfortunate mixed blessing as it stars with lots of momentum, and then gradually goes downhill. At first the doctor tries to escape his house with his family, which is no easy feat considering that their home is completely over run by a swarm of spiders. 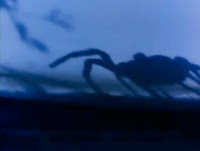 It’s a thrilling little action scene, and all the visuals of spiders crawling on windows, TV sets and crawling up drain pipes definitely draws you in to the thrill of the chase. Unfortunately, things go downhill once the doctor gets separated from the rest of his family and gets trapped in his own wine cellar. He soon finds himself in a final confrontation with the chief spider, and seeing Jeff Daniels battle this spider the size of a Chihuahua isn’t just silly, it’s also where the movie turns into self parody. This spider can take a beating like Jason Voorhees as it gets thrown across the room, crushed by objects, and even burned in an inferno, yet it still keeps coming. This silly climax, combined with a rushed resolution and a really stupid epilog are the films only real short comings. On the standards of an animal attack movie, “Arachnophobia” is definitely one of the better ones, and it was a surprise critical success. Heck, on the web site Rotten Tomatoes, this movie holds a solid 91% ratting out of a possible 100%, and that’s no small accomplishment for a movie of this kind. It’s definitely a very nice looking film, the cinematography is very sharp, and Frank Marshall proves once again to be a gifted director. Don’t get the mixed impression that I’m calling “Arachnophobia” a great A+ masterpiece like “Jaws” or “The Birds”, because it’s still a cheesy and silly monster movie at best. Having said that, it’s still done very well, and is a solidly built tribute to some of Hollywood’s classic creature features. 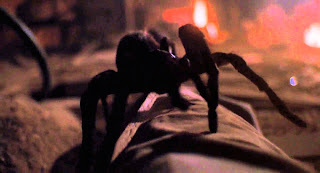 Plus the scenes with the spiders are just eerie enough that it might make you skin crawl while watching. It certainly isn’t a deeply chilling experience, but it is effective and a fun monster movie all the same, so take it for what it’s worth. I give “Arachnophobia” 3 stars out of 5.